It’s no secret that there is a lack of women studying and working in STEM (science, technology, engineering and mathematics). Currently, just 11.8% of the UK’s engineering workforce is made up by women and in terms of students, the number of girls studying GCSE physics hit 50% last year and the number of female postgraduates in engineering and technology reached 25%. But when it comes to studying physics at A-Level and at Undergraduate level, there has barely been an improvement. But why is it so critical to have women working in these industries and engineering? According to The HR Director, it’s to improve the UK’s international competitiveness of engineering, meet ambitions in governmental strategies and more prominently, to increase our infrastructure talent pools as a whole. According to Sir James Dyson, by 2025, Britain will still be 1.8 million short of engineers. By encouraging women into STEM, the industry can benefit from a refresh in talents while improving Britain’s competitiveness on an international scale. But what are other companies doing to encourage girls into studying engineering? One incentive is the National Engineering Competition by National Centre for Universities and Business (NCUB) as part of its Year of Engineering. According to The HR Director, the competition aims to “encourage female students to consider careers in engineering, manufacturing and technology, the competition asks them to solve a twenty-first century problem. Another campaign is the She Can Stem movement, which is part of Mashable’s ongoing series The Women Fixing STEM. The campaign is made up of short videos which shows young girls meeting incredible female role models in STEM, and includes Maya Gupta, research scientist at Google, Bonnie Ross, head of Microsoft Halo Game Studio, Lucianne Walkowicz, astronomer at the Adler Planetarium, and Tiera Fletcher, structural analysis engineer at Boeing. You can read more about the She Can STEM movement and watch these incredibly heart-warming videos here. McGinley has also been devoted to encouraging young people into STEM, by developing a team of STEM Ambassadors who volunteer their time, enthusiasm and experience to encourage and inspire young people to achieve more and progress further in STEM subjects. See below photos of our STEM Ambassadors taking part in Science Week at Park Street School in Hertfordshire. 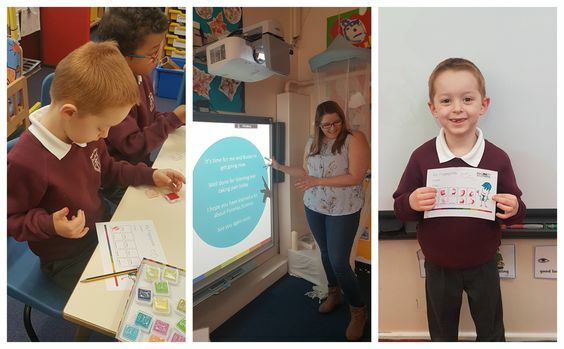 Our Ambassadors held an interactive session on fingerprints, and it was fantastic to see how excited and enthusiastic all the children were! If you’d like to find out more about some of our engineering roles such as our rail or energy jobs, take a look at our website or get in touch with the team today.